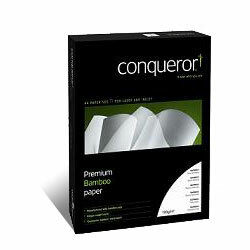 Conqueror have pushed the boundaries of innovation with a completely new material: fast growing renewable bamboo. The result? A range of luxurious papers which print beautifully, naturally. Luxurious paper which prints beautifully, naturally.